General Krulak coined the phrase ‘Strategic Corporal’ in 1999 before the campaigns in Iraq and Afghanistan. He predicted that in increasingly complex operating environments there would be a need to exploit decision critical information at the lowest levels. Similarly he predicted that decisions made at the tactical level could have a strategic political impact due to an expanding global media. His prescription for these changing conditions was that militaries should empower their junior leaders and afford them the freedom to fail. The response from the British Ministry of Defence (MOD) and the senior echelons of the Army has instead been to centralise decision making at the very highest levels. Operational experience in Iraq and Afghanistan has left many with the impression that Mission Command is simply another doctrinal buzzword which is preached but not practiced. An objective, frequent and demonstrable example of this can be found in the numerous Tactical Aide Memoires produced by the British Army. The campaign handbooks developed for the Malayan and Kenyan counterinsurgency campaigns were small and practical books of ideas, generated from pragmatic and local solutions. The unwieldy doorstops produced for the later iterations of Ops TELIC and HERRICK became too prescriptive and full of verbose policy to considered either tactical or an aid to memory. Why has this been the case? Eitan Shamir in his book Transforming Command argues that British Mission Command and performance has regressed, largely as a result of our headquarters incorporating American military information technology as well as replicating American headquarters structures and manning. During recent counterinsurgency operations we have employed increased quantities of manpower, technology and process to try and make sense of the exponentially increasing volumes of information piped into an increasingly static headquarters. These bloated headquarters have bred a culture of over planning and control. The information technology revolution has allowed Ministers and UK based senior officers to directly reach down to the tactical level in distant operational theatres. General Lamb in his speech “In command and out of control” described a creep at the National Level to from Mission Command to Mission Control. Prolonged campaigning in Iraq and Afghanistan has created an expanded bureaucracy with a function of identifying and mitigating risk that has not receded. The advent of “lawfare” and a hysterical media has reduced our Civil Service’s threshold for presentational and reputational risk. This has led to an ever increasing legal and policy oversight and scrutiny of operations. The lack of domestic appetite for wars of choice rather than of national survival has led to a dramatically reduced appetite for risk to life on operations. As result the British Army remains structured as a rigid vertical hierarchy. Real decision making authority is limited to Ministers and senior officers of the rank of 2* and above. The danger is that if this is the way we operate in comparative peacetime, this will be the way that we try to fight the next peer on peer conventional war. 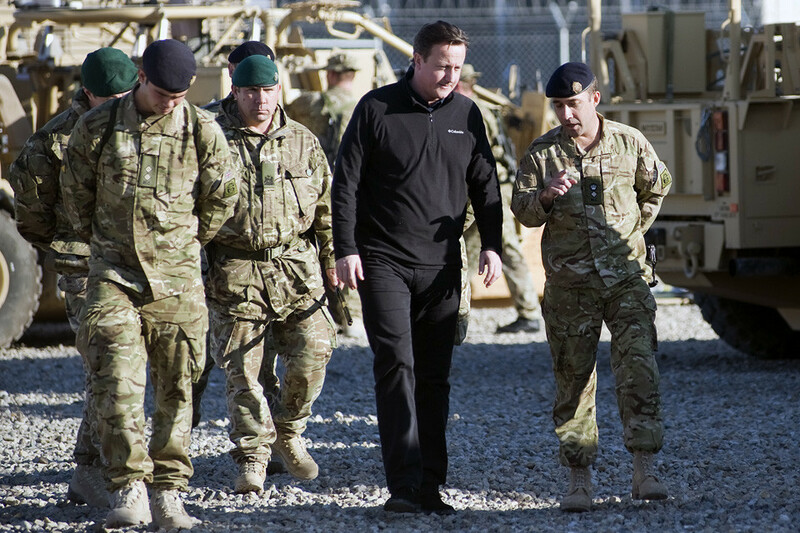 The recent change to the British doctrine of Mission Command is a step in the wrong direction. The new guiding principle that it is the subordinate’s absolute responsibility to act to achieve the superior Commander’s intent puts the emphasis in the wrong place. It is the Commanders who are responsible for Mission Command. Responsible for delegating decision making and properly empowering subordinates. Responsible for practicing the doctrine as it is preached. Tom is a British Army Officer with more than a decade of Command, Intelligence and Operational experience on Operations TELIC and HERRICK and continues to serve on the Staff. Does The Military Need A Union?